These uncrewed launches – three of which are firmly on the books, with the other two optional at the moment – will blast Moon Express’ MX-1 lander into space aboard Rocket Lab’s 52.5-foot-tall (16 meters) Electron rocket. The goal is to test out the MX-1 and its systems, making sure the spacecraft can land softly on the moon, move about the lunar surface, grab samples and return them to Earth. “The holy grail of our company is to provide, to prove, a full-services capability – not just landing, but coming back from the moon,” said Moon Express co-founder and CEO Bob Richards, who announced the new launch deal today (Oct. 1) at the Space Technology & Investment Summit in San Francisco. The two optional launches provide some insurance for Moon Express in case the first three flights don’t go entirely according to plan, Richards said. Sixteen teams remain in the running for the Google Lunar X Prize, so the outcome remains very much up in the air. For example, one team, Astrobotic, signed a contract in 2011 to launch its lunar lander aboard a SpaceX Falcon 9 rocket. Astrobotic representatives have said they plan to launch in 2016. Electron is quite an affordable option as far as orbital launches are concerned, with each liftoff costing just $4.9 million. Falcon 9 launches, for example, cost about $60 million each. “We think the collapse of the price to get to the moon is going to enable a whole new market – kind of like the 4-minute-mile of space,” Richards said. The MX-1 landers that blast off atop an Electron will be relatively small, constrained by the rocket’s size.. 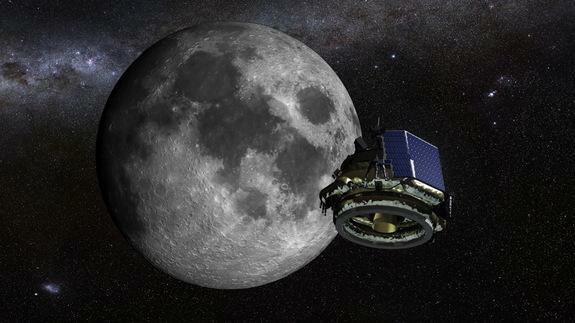 But the MX-1 is scalable, Richards said, and can be modified as needed to help the company achieve its ambitious goal of opening up the moon and its resources to commercial use.